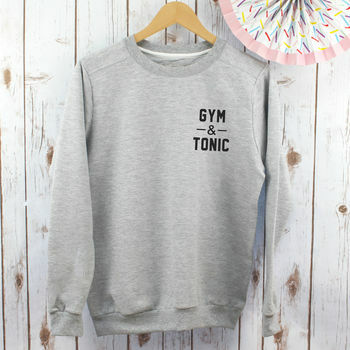 This lovely sweatshirt is stylish yet fun with the words 'Gin and Tonic'. 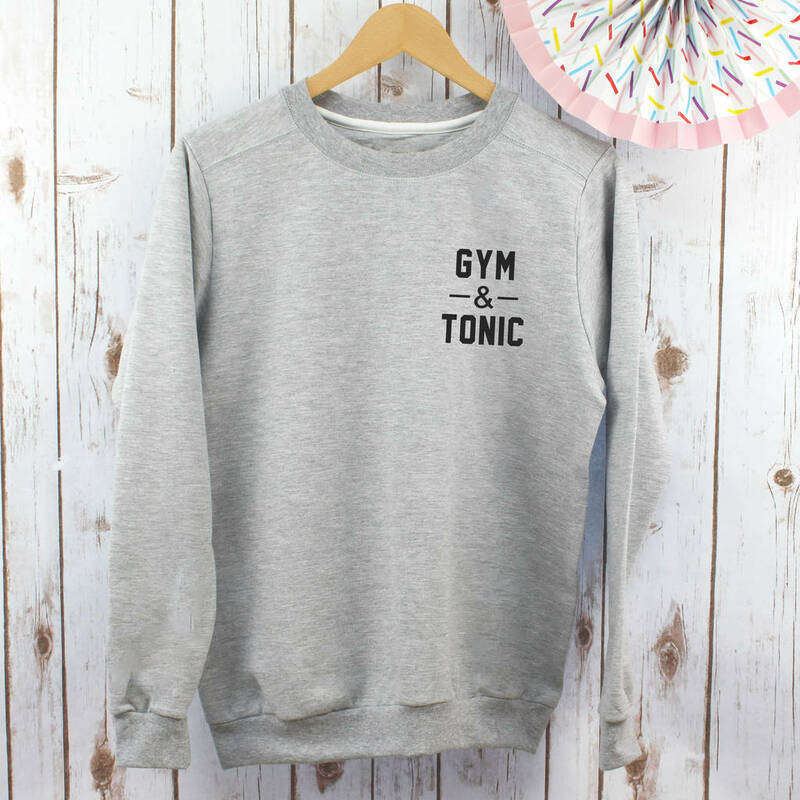 This ladies sweatshirt is perfect for gin and gym lovers everywhere! Betty Bramble ladies sweatshirts are supersoft and premium quality. They are made from a cotton blend in a traditional sweatshirt shape with a crew neck. 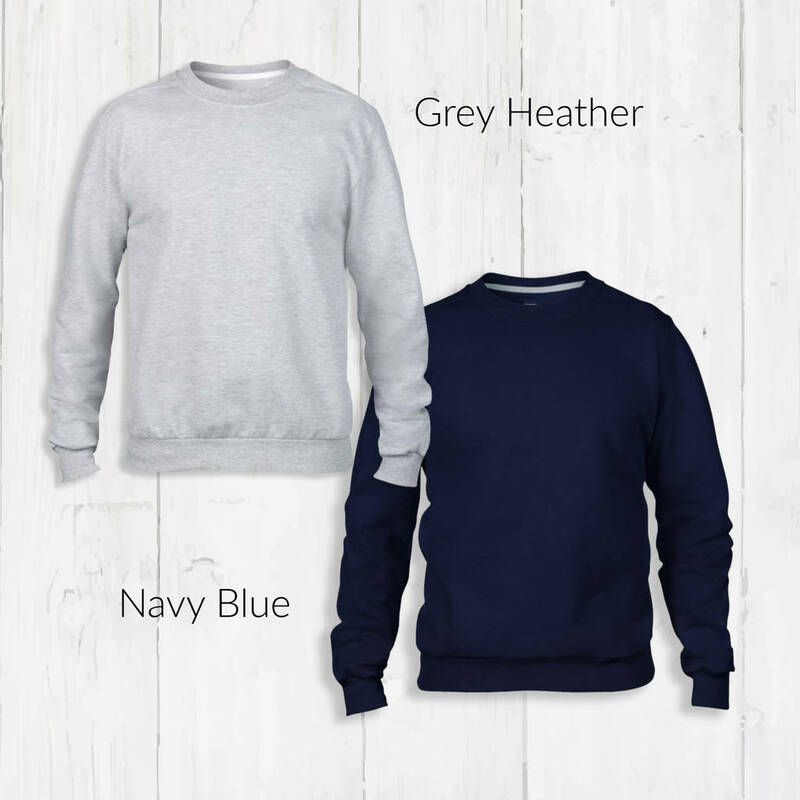 The sweatshirt is available in navy blue or heather grey, with a choose of red, black, white or metallic print. The ladies sweatshirt is available in navy blue or heather grey.